Forehand tennis tips to improve technique, consistency and power. Recommended for beginning and intermediate level players. 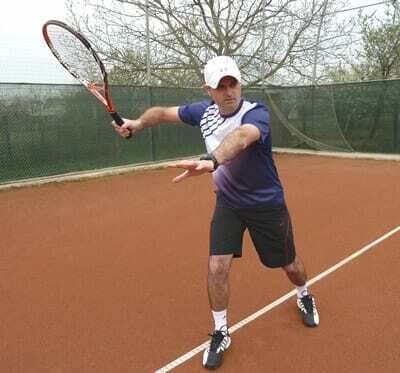 By doing that, you will be a lot quicker to make contact with the ball further out in front especially when returning serves or playing against powerful players. To do that try raising your elbow on the racquet take-back or have your dominant palm facing down. This will stop you from taking the racquet too far back and as a result you will have a short and compact back-swing. Very important to do that because it will stop the racquet to be taken back by the dominant arm independently from the rest of the body. 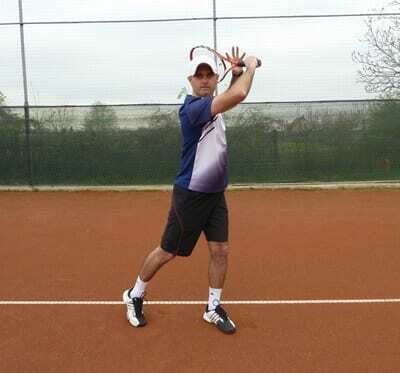 By holding onto the racquet with the non-dominant hand the back-swing will be the action of the upper body coiling which will translate into more power and consistency into the stroke. How long should you hold onto the racquet with the non-dominant hand? Until your hips and upper body are turned sideways. 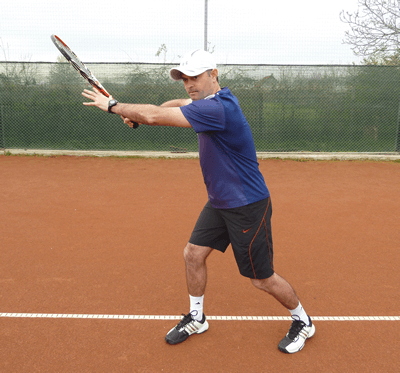 A long follow-through is key to a good, consistent forehand ground-stroke. It relaxes your arm, helps you swing through the contact and in long run it saves your arm from injuries. Not only that, but you will notice an increase in stroke consistency too. To improve timing and concentration when hitting the forehand try saying these two words: “bounce” when the ball bounces on your side of the court, then say “hit” as you swing to contact the ball. This is great especially when you feel tense during a tennis match.